These small group studies of Ezra contain outlines, cross-references, Bible study discussion questions, teaching points, and applications. Visit our library of inductive Bible studies for more in depth inductive studies on this and other books of the Bible you can use in your small group. What did a scribe do? What does the passage say about his abilities as a scribe? In verse 6 what is Ezra’s attitude toward the law (it is given by God)? Who is the king at this time? What did Ezra ask of him? How did the king respond? Which requests did he grant? Why? Who returned with Ezra? Is this the same group that we saw returning in the beginning of the book? How much time had passed (the first group returned in the first year of Cyurs 538 BC. Ezra returned in the seventh year of Artaxerxes, 458 BC, 80 years leater). How long did the journey take for them to arrive at Jerusalem? Was this longer or shorter than average? Why do you think so? Why does the passage say that God’s favor and providence was with them? What does this tell us about the result of faithfully serving God? What can we learn about Ezra and his character from verse 10? Is there any progression here? What applications can we get from this verse? 1 Peter 4:10 – Use your gifts to serve one another. 1. From chapter 7 to the end of the book Ezra records the second return to Jerusalem. This was 60 years after the first return. This is a reminder that the people of Judah were scattered throughout the entire empire/region. Although the first part of Ezra focuses on the Jews living in Jerusalem who returned this is actually only a small percentage of the Jews. Most of them were still living here and there. Esther shows us a clear picture of this. The people, although they were still scattered, still viewed Judah as their home. Some of them still wanted to return there. Like we discussed in chapter 1. This would not have been easy. It would have completely changed their lives. Their jobs, homes, friends, and many materials, as well as everything they were used to would have to be left behind to take a journey to a far country that none of them actually knew or had probably even seen. For the first return only a few of the very old people had actually lived in the land. This time, no one had. Although the text doesn’t mention it, God surely also moved them to return to the land He had promised them. This was taking a great step of faith and there was no one better to lead this journey of faith than Ezra. 2. Ezra was descended from a long line of priests and traced his lineage all the way back to Aaron. He likely traces his lineage here in order to show the readers his qualifications and authority to lead the people of Judah. There would surely be many times on the way and after arriving that the group would not want to follow his leadership so listing his credentials was also a way to ward off these disagreements and divisions. 3. Verse 6 tells us that Ezra was a scribe. Scribes were considered to be experts in the law. They studied it carefully and memorized large chunks of it. They would also be required to copy it letter by letter, word by word, book by book. At that time there were no printing machines so scribes were the ones responsible to copy it and pass down more of the holy Scriptures to the next generation. When people had questions about the law or its application they would also go to the scribes for answers. In addition, as we later see with Ezra, one of their responsibilities was to teach the law to the people. This was an important position of spiritual leadership. 4. Verse 6 also tells us that Ezra was skilled in the law. This tells us that he was no ordinary scribe. God had given him a special “gift” for understanding the law and teaching it. 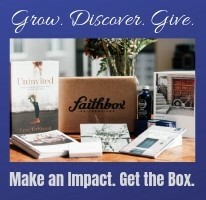 Although God promises to give every believer a spiritual gift in the New Testament, these types of gifts are not limited to New Testament or modern times. God also blessed certain people in the Old Testament with amazing abilities or talents in order to accomplish His purposes. Can you give any examples of people in the Old Testament that would have something akin to a spiritual gift? 5. The things that the king did to help Ezra, which are listed out later in the chapter, were first requested by Ezra. This shows us that Ezra had initiative to lead this journey back to Judah. It wasn’t something commanded by the king. God moved him to lead this group to return. He took the initiative to go to the king and ask for permission and help. To make these types of requests to the king also showed that Ezra may have known that king and that he was quite bold. 6. Later we will see that the king answered his requests. In verse 6 Ezra tells us the reason he was so favorable to them was because God’s hand was with them. This is an underlying theme throughout the book of Ezra. We see again and again God’s providence and sovereign power in moving heathen kings to accomplish His plans and purposes. The US election was held this week and the Chinese power change meeting is also beginning this week. Although the US elections reinforced the moral decline of the nation and were very disappointing for Christians, we can know that God is in control. He does have a plan for the nations. He had a purpose in allowing each and every politician to be elected. Though most have no respect for God, God will use them to accomplish His plans anyway. This is always comforting to know in times when our countries are ruled by people who do not know God or follow His principles. Although they appear to be in control, they aren’t. God is. 7. The people who returned to the land were partly composed of priests, Levites, gatekeepers, and temple servants. These were people whose occupation was serving God. 8. From verses 8-9 we can see that the journey took four months. The length of this journey is a reminder that this decision to move to the Promised Land was not an easy one. It was a “go and don’t look back” decision. There was no turning back. They were giving up everything they ever knew to go to a place they didn’t know because they believed God wanted to. 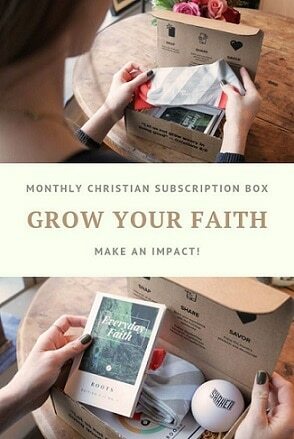 This is a classic example of the kind of faith God wants each one of us to have. This journey was evidently shorter than average since Ezra ascribes the speed of their journey to God’s hand being with them. 9. God’s favor to them here appears to be connected to Ezra’s faithfulness. Because Ezra was so faithful, God blessed the people and was with them. Sometimes one good leader can have a profound impact on his people. In this case, Ezra’s faithfulness helped to secure God’s blessings for the entire group. Can you think of any other cases in Scripture where one person’s faith brings benefits/blessings to others close to them? 10. Verse 10 is an excellent insight into Ezra’s character. The foundation for everything he did was his heart to study the Word of God. Notice that he “set his heart” to do it. Studying God’s Word is not something that happens automatically. This world is busy. There are lots of things vying for our time and lots of things to make us busy. The same thing was true at that time. But Ezra did not allow those things to keep him from God’s Word. He set his heart to do it and would not allow anything to distract him from it. A. Second we see that Ezra practiced it. This comes before teaching it. In James 3:1-2 we learn that a person should become a teacher too hastily since God will judge this person more strictly. This is likely because some teach others what to do and don’t pay attention to doing it themselves. Ezra was not like this. He set his heart to practice, to do, everything he learned in the law. He was not studying it just to get knowledge. He was not studying it just to be able to answers people’s questions. He was not studying it because he had to. He studied it because he wanted to do it. We should always remember that this is the goal of Bible study. The goal is to practice what we learn. If we are not practicing it, it is useless to us. Ezra also knew that he had to set a good example for those he taught. It would be hypocritical to tell others why they should do unless he was willingly doing it himself. This doesn’t mean a teacher can be perfect. No one is perfect. But every person who teaches God’s Word should set their mind to do everything they teach others to do. B. He changed his own life and spread it out to the rest of the people. He used his position, knowledge, and influence to make a difference among the people around him. This three step approach to God’s Word could be easily remembered through an acronymn. SOS. Study. Obey. Spread. What was Artaxerxes’ opinion of Ezra? What privileges did this decree lay out for Ezra and the people? Would you describe the decree as negative, neutral, or favorable? Why was the king so favorable to them? Who contributed the funds needed for their journey and for the temple? What were they to do with these funds? Why would the king give funds and allow them to use these funds for whatever seemed good to them (18)? Besides the valuables taken from Babylon, what else did the king provide for them? Did the temple workers get any special privileges? What responsibilities did the king give to Ezra? What is the significance that he also gave Ezra the authority to punish those who disobeyed God? 1 Chronicles 29:11-12 – All power, glory, and majesty belong to God. Psalm 115:3 – God does all that He pleases. Lamentations 3:37 – Who has spoken and it cometh to pass unless God commanded it? 1. Artaxerxes considered Ezra to be learned in the commandments of God (verses 11). So Ezra also had a good reputation, even among secular society. A. Any Israelite who wanted to return was granted permission. This in itself is pretty amazing. Many Jews certainly would have had important positions in society in the central areas of the kingdom. It could have hurt the economy of the nation to allow anyone to return. Many kings may have given permission for some poor people or only certain groups. But here we see that anyone could return. B. Ezra and his group were basically given the title of emissary as they were going as the king’s representatives to check up on the people and the temple (14). C. The king and his counselors gave silver and gold to this cause, which they did not have to do. They offered it freely. D. They could take with them any other gold and silver that others gave them or that they had earned in the region. So they were not only taking their work power with them; they were also taking their buying power; and they were also taking others’ buying power who donated to them. E. In fact just like in the first return 80 years before, many of the people around them did donate freewill offerings to them. F. These were to be used for the temple services and sacrifices. But they were also to be used however Ezra and the others saw fit. The king basically hands them a bunch of treasure and tells them they can use it how they want. This is truly a gift with no strings attached. It also shows the respect and trust that the king had in Ezra, believing that he would use it for good purposes, not wasting it, or even worse, starting a rebellion. G. Beyond what they were given to take with them, the king also gave them some vouchers which could be used at the empire’s storehouses located in that area, which entitled them to many more valuables 100 kors is approximately 750 bushels. 100 talents is about 4 tons. 100 baths is about 600 gallons. In short, very generous. H. The king also made all of the temple workers excluded from paying taxes (something akin to modern day tax exempt charities and organizations). I. Punishment could even include death. Giving power to punish people was pretty rare in those days. The Roman Empire, for example, did allow the Jews some flexibility to handle their affairs. But they did not allow them to execute anyone, which is why they needed to go to Pilate to execute Jesus. Artaxerxes gave Exra the authority to do it, once again showing the great trust he put in him. It does appear from this section that he may have made Ezra the governor or at least a leading official to oversee that land, which is why he gave him so much official authority. How did Ezra respond to this amazing generosity and kindness? Who did he give the credit to? What can we see that that Ezra understood about God based on verses 27-28? 1. Ezra gave all the praise and glory and credit to God for this amazing generosity and favor from Artaxerxes. He correctly realized that it was God’s hand who moved the king to do this and that God was actually in control. He knew it was God’s grace and mercy to them. He knew it and He immediately thanked God for it. His attitude is admirable and we should remember to always thank God for the things He has done for us. Everything good that happens to us is from God’s hand and we should not forget Him. 2. 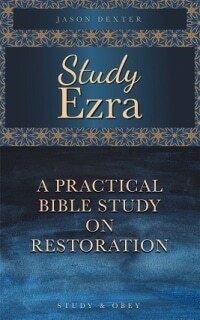 God strengthened Ezra for the task before Him and Ezra set out to do it with all His heart. Application: If God wants us to accomplish something, He will give all the means and resources we need whether by miracles, answers to prayer, favor in the eyes of authority or many so called “coincidences” (ie: God’s providence).